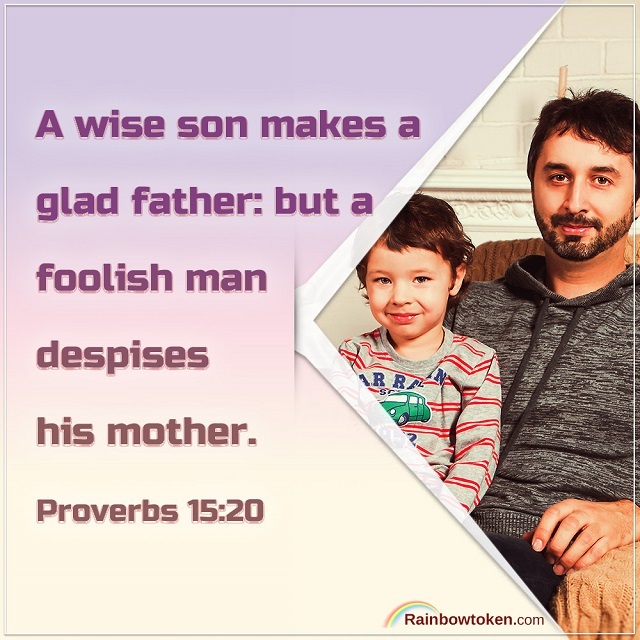 “A wise son makes a glad father: but a foolish man despises his mother” (Proverbs 15:20). The LORD said, “But with you will I establish my covenant; and you shall come into the ark, you, and your sons, and your wife, and your sons’ wives with you” (Genesis 6:18). We collect a lot of images of classic Bible verses, You can View more: Bible Quotes, hope..